Todd McCray, hero of A Dog Named Christmas, is now twenty-four years old and working at a local animal shelter, where he meets and quickly becomes best friends with Laura, a young volunteer. Laura, like Todd, has disabilities of her own, but her struggles are more physical than developmental. 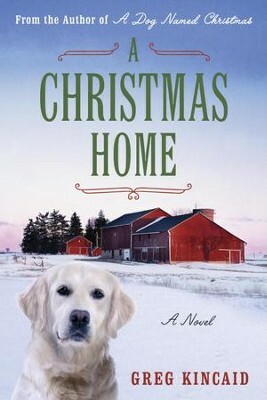 Their friendship is sealed when Toddwith the help of his trusted companion, the tenacious Labrador retriever named Christmastrains a beautiful dog named Gracie to help Laura with the day-to-day life tasks that are difficult for her. Life seems good for Todd, but all is not well in his hometown. Struggling families unable to make ends meet are abandoning more and more dogs, and the shelter is swelling to capacity. The local government is struggling to meet its obligations too, and in early December, on the cusp of another holiday season, Todds boss delivers the bad news. Due to funding problems, the shelter will close its doors before the end of the year. But what will happen to all the animals? As the Christmas holiday approaches, Todd has limited time to find homes for all the dogs. Not to mention that he needs to secure a new job and figure out what to do when his friendship with Laura takes an unexpected romantic turn. All this seems overwhelming unless youve got a loving family, dedicated friends, and a couple of very special dogs behind you. In which case, nothing is impossible. Greg Kincaid, author of A Dog Named Christmas and Christmas with Tucker, is a practicing lawyer who specializes in family law mediation. He is also an active advocate for literacy and for the humane treatment of animals. He helped to start the Foster a Lonely Pet for the Holidays program that has found homes for tens of thousands of shelter dogs. The father of five children, he lives on a farm in western Johnson County, Kansas, with his wife, two cats and two dogs. I'm the author/artist and I want to review A Christmas Home - eBook.